Always wanted to share your thoughts on the weeks TV? Well here is a fun (and challenging) way to do it. 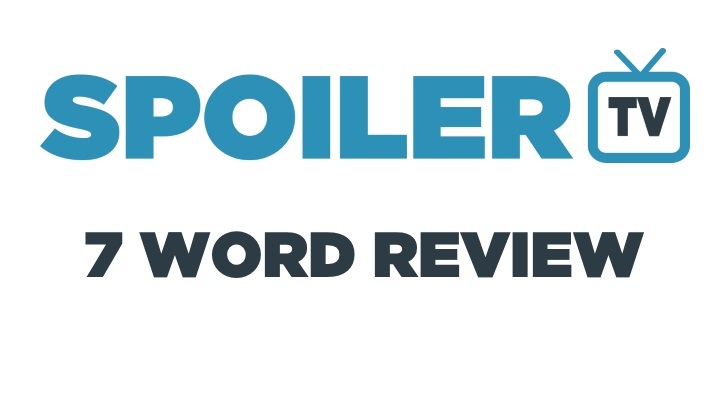 In only 7 words or less in the comments below review some of the episodes you have watched this week. You can be creative or straight to the point, but you only have up to 7 words. Share your reviews in the comment box below. Good luck! CJ aka “CJ Sonic” is a senior staff member at Spoiler TV, co-hosts and edits the Spoiler TV Podcast, co-hosts Spoiler TV's web show "Spoiled" and loads of other things for the site. He has recently started going to cons and making videos for his site Two Geeky Guys, which involves interviews, parodies and cosplay music videos. So please check it out.